In general, we use plenty of emails to communicate official and personal matters. Most of these emails are of exceptional importance and you cannot afford to lose them at all. However, due to several reasons, some individuals find that their email disappeared from iPhone. It is needless to say that emails disappearing from inbox iPhone is a frustrating issue. But, don’t worry. We will explain how to overcome it. Before we learn how to solve “iPhone email missing” issue, you should get to know more about the background of it. Q 1. Why My Email Disappeared from iPhone? Here’s a scenario for you to read: “I am an iPhone user and I tend to send emails pretty frequently. I have used this service for several years and usually find it to be a very reliable option. However, for the past couple of days, I find emails disappearing from inbox iPhone. Some of the iPhone emails disappeared after they were read by me. Meanwhile, some of my emails were disappeared even before I opened them. Can anyone let me know why such thing happens? What can I do for it? Is there a way to fix this? Thanks in advance.” . The above query was posted in a help forum by a gentleman who found his iPhone email missing due to some reason. If you have experienced the same issue with your iPhone, you would love to find a way to fix it. 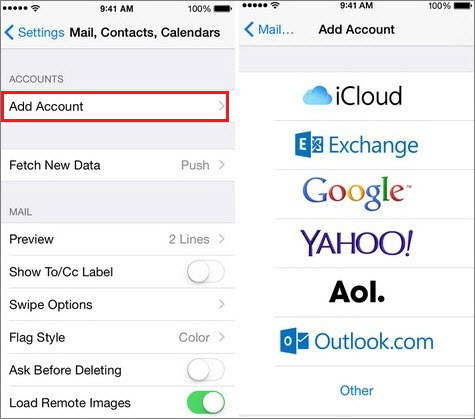 Here are some of the possible reasons for an issue like “email disappeared from iPhone”. 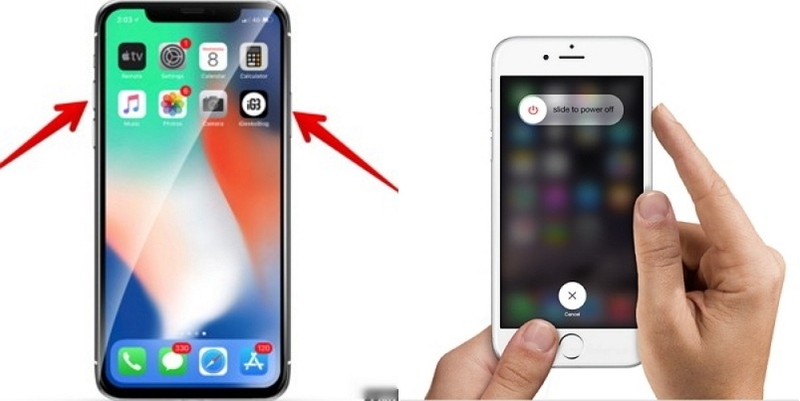 Wrong email configurations: If the email app is not perfectly configured, you will notice that email disappeared from iPhone. Due to a system error: As a result of a system crash, users may experience emails disappearing from inbox iPhone. 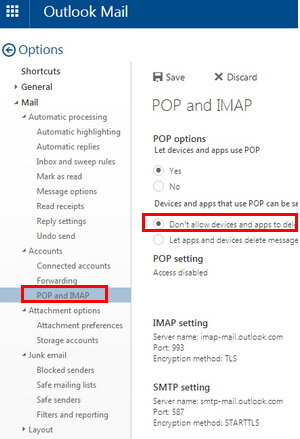 Wrong POP3 to IMAP configuration: In general, phones use IMAP protocol to send emails. This protocol keeps a copy of your email in the server and makes a copy of the mail into the device. If there is a clash between these two protocols on your device, you may see your emails are missing. Q 2. Where Did My iPhone Disappeared Email Go? Each and every file (including emails) on your iPhone saved in a database known as SQLite. When an email gets deleted from your iOS device, it will not be literary ‘deleted’. Instead, the respective file will be moved to “unallocated” space from “allocated” space. In other words, the file will be relocated from one place to another instead of permanently erasing it. If these files left untouched thereafter, you can easily recover them using a data recovery software. However, when you save a new file on the same device, the file will be initially sent to the “unallocated” space. As a result, the files that are already in this space (deleted emails etc.) will be overwritten. As a result of this process, it will become impossible for you to recover them. Now that you know the potential reasons behind lost emails on your iPhone, let’s take a look at the methods to fix it. Step 1. Press and hold Side button with a volume button. Step 2. Drag the slider and turn the device off. Step 3. Press the slide button and hold it to switch on the device. Step 1. Press and hold the side or top button. Step 3. Press and hold the side or top button to turn the device on. Step 1. 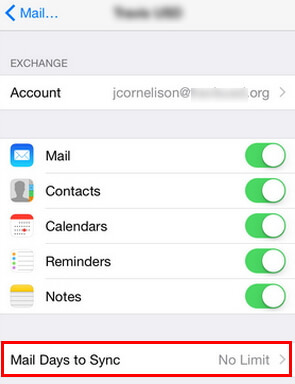 Go to “Settings” app and select the option “Mail, Contacts, Calendars”. Step 2. Tap on the account and find the option “Mail Days to Sync”. Step 3. Then, select the option “No Limit”. Step 4. Done! Now, the mail app will sync the previous emails as well. Step 1. Go to the “Settings” app and select “Mail, Contacts, Calendars” option. Step 2. Provide your mail account and go to “Delete Account” option. Step 3. Move back to “Mail, Contacts, Calendars” and then go to “Add Account” option. Step 4. Then, use the email address and password to add the account once again. Step 1. Here we take outlook for example. Click on the “Gear” icon found in your mailbox. Step 2. Go to “More mail settings”. Step 3. Under the option “Managing your account” option, you should go to the option “POP and deleting. downloaded messages”. Step 4. Select the option labelled “Don't let another program delete messages from Outlook". At the completion of this process, you should save the changes. In this section of the article, let’s take a look at on some tips related to disappeared iPhone emails. 1. Is There Any Email Recovery Tool for iPhone? Practically, there is no tool developed yet to recover deleted emails on iPhone. To minimize the risk of losing your important data, you should rely on creating regular backups. If you create backups of your phone’s data regularly, recovering them is pretty easy even upon a device damage or software malfunction. 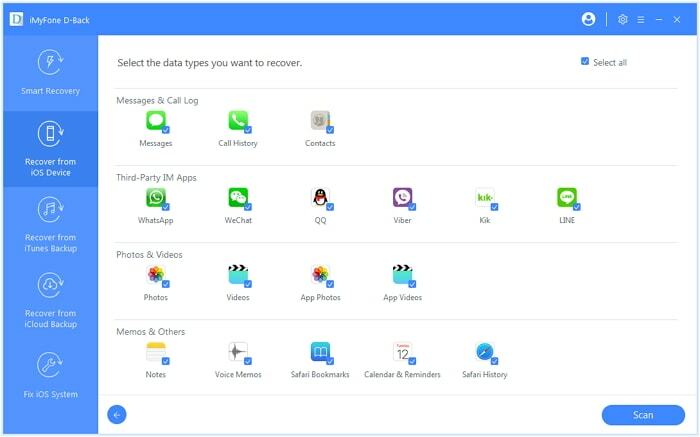 If you need to recover other iPhone data including photos, videos, contacts, call log, notes, voice memos, WhatsApp, WeChat, messages, etc., you can use a reliable software like iMyFone D-Back. iMyFone D-Back is a highly versatile tool that lets you recover more than 18 data types off iPhone. It can recover data from iPhone/iPad/iPod touch without backup. It can selectively or dully recover what you need. It can recover data without affecting the current data on device. It can recover data without restoring iTunes/iCloud backup. It can recover data without losing data. It allows you to view and recover data from iCloud and iTunes backups. It offers free trial version before purchasing. 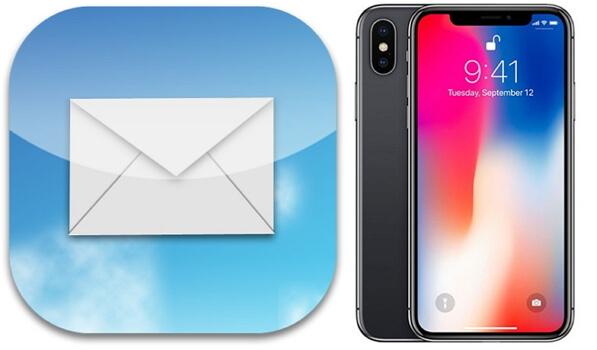 If you ever notice your emails are disappeared on your iPhone, you can try any of the solutions mentioned in this article. At present, there is no specific program to recover deleted emails from the server. However, a software like iMyFone D-Back can recover other 18 types of files off your iPhone. The good news, however, is that iMyFone is ready to try developing a tool to recover deleted emails. We hope that they will succeed one day. We appreciate if you can leave us a comment expressing your honest thoughts.